The names were part of incidental electronic surveillance of candidate and President-elect Trump and people close to him, including family members, for up to a year before he took office. It was not clear how Rice knew to ask for the names to be unmasked, but the question was being posed by the sources late Monday. "What I know is this ... If the intelligence community professionals decide that there’s some value, national security, foreign policy or otherwise in unmasking someone, they will grant those requests," former Obama State Department spokeswoman and Fox News contributor Marie Harf told Fox News' Martha MacCallum on "The First 100 Days. "And we have seen no evidence ... that there was partisan political notice behind this and we can’t say that unless there’s actual evidence to back that up." White House Press Secretary Sean Spicer, asked about the revelations at Monday’s briefing, declined to comment specifically on what role Rice may have played or officials’ motives. “I’m not going to comment on this any further until [congressional] committees have come to a conclusion,” he said, while contrasting the media’s alleged “lack” of interest in these revelations with the intense coverage of suspected Trump-Russia links. When names of Americans are incidentally collected, they are supposed to be masked, meaning the name or names are redacted from reports – whether it is international or domestic collection, unless it is an issue of national security, crime or if their security is threatened in any way. There are loopholes and ways to unmask through backchannels, but Americans are supposed to be protected from incidental collection. Sources told Fox News that in this case, they were not. Meanwhile, Fox News also is told that House Intelligence Committee Chairman Devin Nunes knew about unmasking and leaking back in January, well before President Trump’s tweet in March alleging wiretapping. As the Obama administration left office, it also approved new rules that gave the NSA much broader powers by relaxing the rules about sharing intercepted personal communications and the ability to share those with 16 other intelligence agencies. Rice is no stranger to controversy. As the U.S. Ambassador to the UN, she appeared on several Sunday news shows to defend the adminstration's later debunked claim that the Sept. 11, 2012 attacks on a U.S. consulate in Libya was triggered by an Internet video. Rice also told ABC News in 2014 that Army Sgt. Bowe Bergdahl "served the United States with honor and distinction" and that he "wasn't simply a hostage; he was an American prisoner of war captured on the battlefield." Bergdahl is currently facing court-martial on charges of desertion and misbehavior before the enemy for allegedly walking off his post in Afghanistan. White House lawyers last month learned that the former national security adviser Susan Rice requested the identities of U.S. persons in raw intelligence reports on dozens of occasions that connect to the Donald Trump transition and campaign, according to U.S. officials familiar with the matter. The National Security Council's senior director for intelligence, Ezra Cohen-Watnick, was conducting the review, according to two U.S. officials who spoke with Bloomberg View on the condition of anonymity because they were not authorized to discuss it publicly. In February Cohen-Watnick discovered Rice's multiple requests to unmask U.S. persons in intelligence reports that related to Trump transition activities. He brought this to the attention of the White House General Counsel's office, who reviewed more of Rice's requests and instructed him to end his own research into the unmasking policy. The intelligence reports were summaries of monitored conversations -- primarily between foreign officials discussing the Trump transition, but also in some cases direct contact between members of the Trump team and monitored foreign officials. One U.S. official familiar with the reports said they contained valuable political information on the Trump transition such as whom the Trump team was meeting, the views of Trump associates on foreign policy matters and plans for the incoming administration. 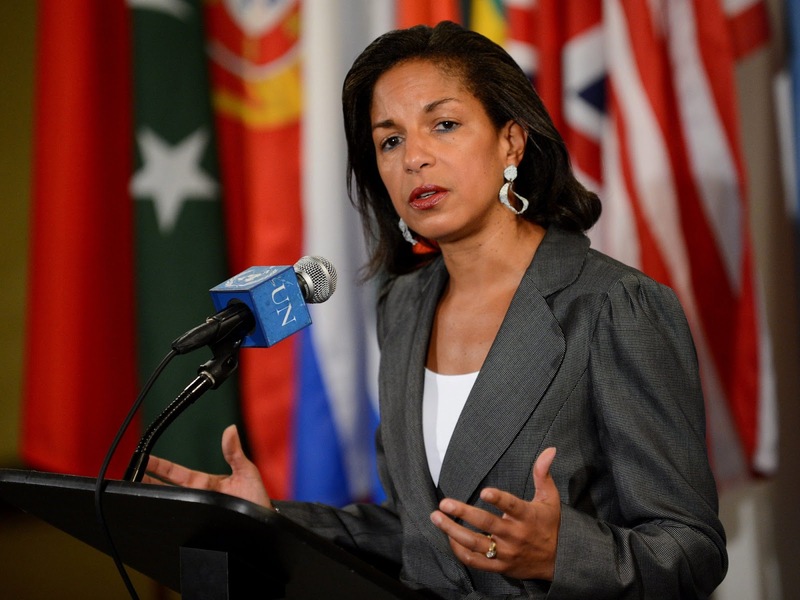 Rice did not respond to an email seeking comment on Monday morning. Her role in requesting the identities of Trump transition officials adds an important element to the dueling investigations surrounding the Trump White House since the president's inauguration. Rice herself has not spoken directly on the issue of unmasking. Last month when she was asked on the "PBS NewsHour" about reports that Trump transition officials, including Trump himself, were swept up in incidental intelligence collection, Rice said: "I know nothing about this," adding, "I was surprised to see reports from Chairman Nunes on that account today." Rice's requests to unmask the names of Trump transition officials do not vindicate Trump's own tweets from March 4 in which he accused Obama of illegally tapping Trump Tower. There remains no evidence to support that claim. But Rice's multiple requests to learn the identities of Trump officials discussed in intelligence reports during the transition period does highlight a longstanding concern for civil liberties advocates about U.S. surveillance programs. The standard for senior officials to learn the names of U.S. persons incidentally collected is that it must have some foreign intelligence value, a standard that can apply to almost anything. This suggests Rice's unmasking requests were likely within the law. The news about Rice also sheds light on the strange behavior of Nunes in the last two weeks. It emerged last week that he traveled to the White House last month, the night before he made an explosive allegation about Trump transition officials caught up in incidental surveillance. At the time he said he needed to go to the White House because the reports were only on a database for the executive branch. It now appears that he needed to view computer systems within the National Security Council that would include the logs of Rice's requests to unmask U.S. persons. The ranking Democrat on the committee Nunes chairs, Representative Adam Schiff, viewed these reports on Friday. In comments to the press over the weekend he declined to discuss the contents of these reports, but also said it was highly unusual for the reports to be shown only to Nunes and not himself and other members of the committee. Indeed, much about this is highly unusual: if not how the surveillance was collected, then certainly how and why it was disseminated. 0 Response to "Susan Rice requested to unmask names of Trump transition officials, sources say"